MUIMUN Delegate Report 2018 | HanseMUN e.V. 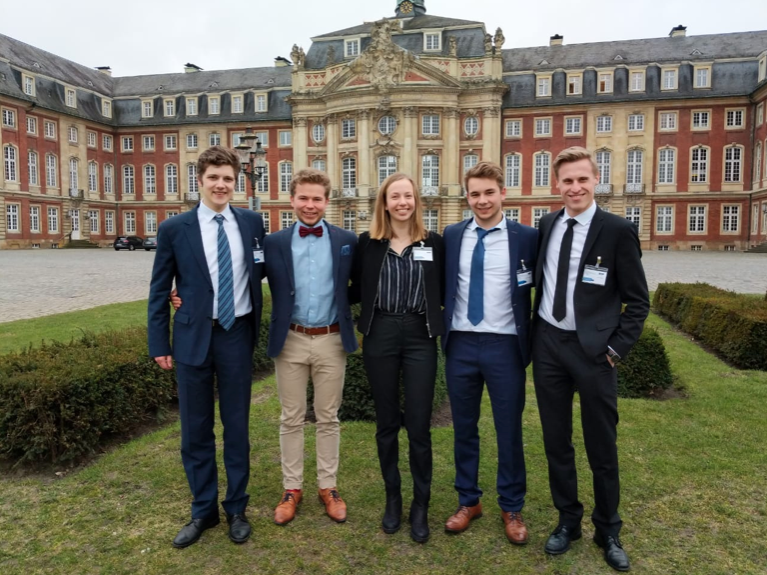 From 24th to 28th of March, a delegation of five delegates visited our partner conference – the MuiMUN, taking place in the lovely city of Münster (also featuring an astonishingly beautiful university building that just makes any student from the university of Hamburg jealous). The experience of the delegates ranged from first-timers to experienced delegates and so did the committees they participated in: UN Women, SPECPOL, ICC and UNSC. All of us had an amazing time debating and meeting a lot of interesting people and in the end, we even achieved an “Honourable Mention”-Award in the Security Council for our society. But not only the high academic level made MuiMUN a great conference. Also the well-rounded range of socials from a rather relaxing Pub quiz and a historical city tour to the exciting global village and farewell parties contributed a big part to an all in all great experience.